In World Bank’s completion and results report, ISMEP Project implemented by Istanbul Governorship’s Istanbul Project Coordination Unit (IPCU) was awarded “High Satisfactory” degree both for implementing agency performance and project outputs. 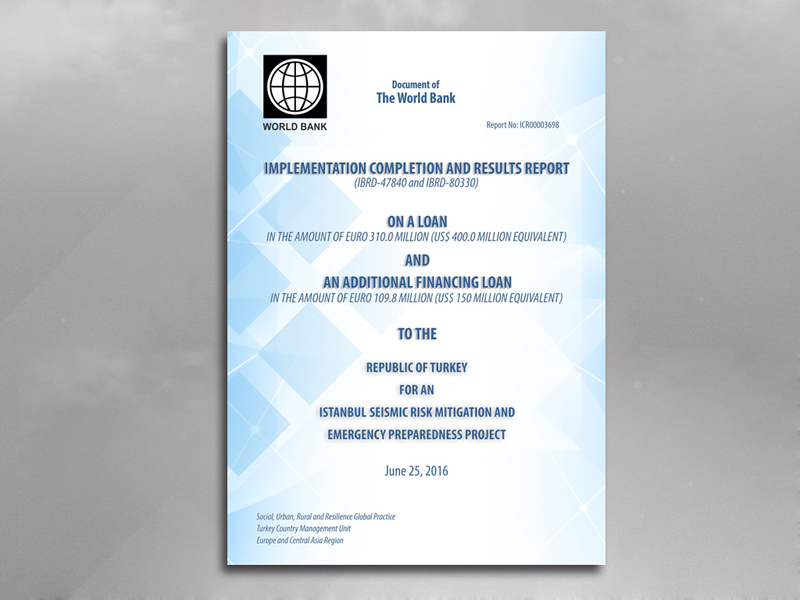 The World Bank that evaluates projects in various aspects including outputs, effects, efficiency and effectiveness also has an important position as it is the first creditor of Istanbul Seismic Risk Mitigation and Emergency Preparedness Project (ISMEP), the first risk mitigation project of Turkey. IPCU Director Kazım Gökhan Elgin stated that he was extremely proud of the way World Bank evaluated their efforts, and noted that they had started to work in 2006 with a budget of EUR 310 Million, a loan extended by World Bank, which currently reached EUR 2,028 Million with participation in 2016. Stated that the earthquake expected to hit Istanbul was a threat which will have both social and economic impacts on Turkey, Mr. Elgin also pointed out that they had been working to that effect for the last 10 years, and accordingly, that evaluation of the World Bank was very valuable in that sense. Elgin who noted that said degree was the highest rating given by the World Bank also added that they retrofitted and/or reconstructed 1287 public buildings in Istanbul, made remarkable progress in improvement and development of radio coverage areas, as well as achieved remarkable progress in Istanbul’s disaster management capacity by constructing command and control centres, providing equipments for first responder institutions, and earthquake preparedness trainings. ICR (Implementation Completion Report) was prepared in a period of 6 months by expert commission of the World Bank with contributions from IPCU and Treasury Undersecretariat. In said report, lessons, outputs, implementation challenges and lessons learned under ISMEP Project were detailed, giving economic and social evaluations.